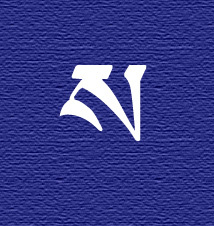 In general, there are two kinds of Tibetan script found in print. One is a cursive script called umé. The other, shown here, is called uchen. The uchen letters all have a horizontal line at the top of the letter. This horizontal line is referred to as ‘the head’ of the letter. The head is always drawn first. Then, the letter is drawn from the left to the right, and from the top down. Letters which contain loops are exceptions. Posted on February 22, 2013, in Tibetan Language, Uncategorized and tagged Asian studies, Buddhism, sacred, sacred sound, spirituality, tibet, Tibetan Language, yungdrung bon. Bookmark the permalink. Leave a comment.